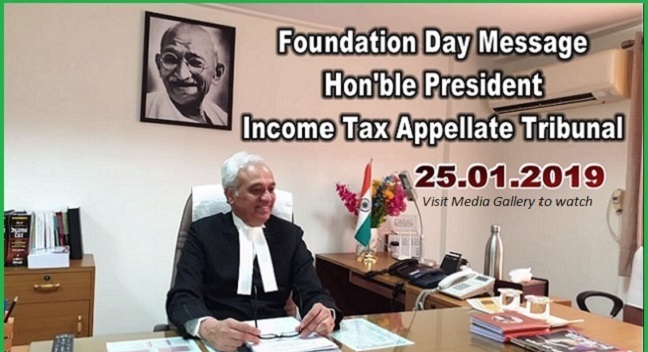 Hon'ble Justice P.P. 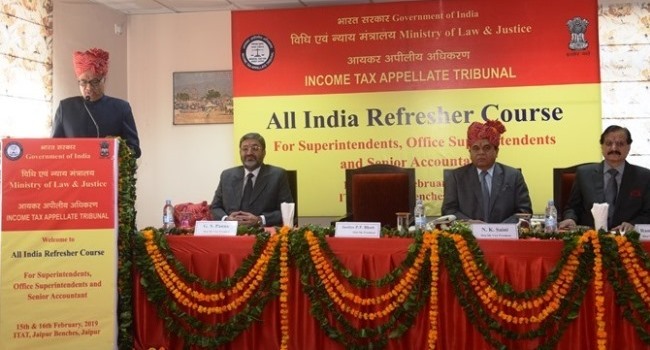 Bhatt, President, Income Tax Appellate Tribunal, addressing the Superintendents, Office Superintendents and Sr. Accountant on the occasion of Refresher Course on 15th February, 2019 at Jaipur. Hon'ble Justice P.P. 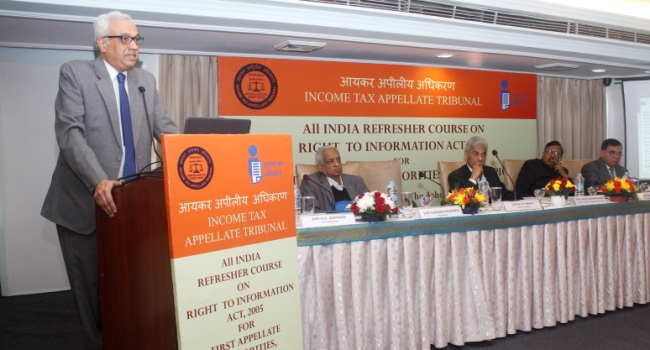 Bhatt, President, Income Tax Appellate Tribunal addressing the gathering on the occasion of All India Refresher Course on Right to Information Act, 2005 for FAAs, CPIOs and APIOs on 14th December, 2018 at New Delhi. 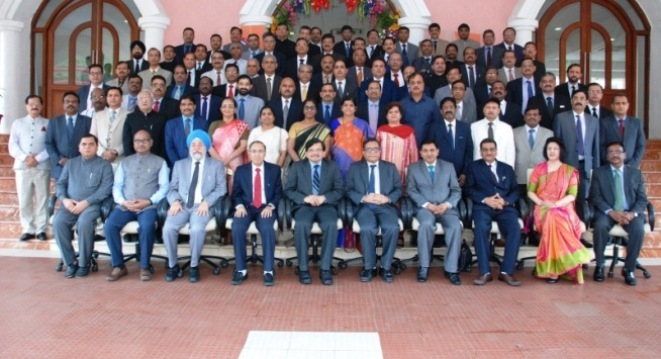 All India ITAT Members' Refresher Course 2017 at Maharashtra Judicial Academy, Mumbai: Group Photo with Hon'ble Dr Justice Muralidhar, Judge, High Court of Delhi and Hon'ble Mr Justice M. S. Sanklecha, Judge, High Court of Bombay. ITAT is a quasi judicial institution set up in January, 1941 and specializes in dealing with appeals under the Direct Taxes Acts. The orders passed by the ITAT are final, an appeal lies to the High Court only if a substantial question of law arises for determination.